iClean Window Servcie offer a professional window cleaning service for domestic and commercial customers. All staff are uniformed and the company is fully insured and follow health and safety gudelines at all times. The company aims to provide a highly professional yet affordable service in the region of Castle Bromwich, Sutton Coldfield, Boldmere, Coleshill, Water Orton and Solihull and surrounding areas. To find out more about iClean and any of the services they provide you can contact them on the number below or via their website. They will be happy to give you more information or provide you with a quote. Where necessary, an appointment can also be arranged to discuss all of your requirements in more detail. Constable Cleaning Ltd are a cleaning company based in the West Midlands and provide a commercial window cleaning service for companies located in areas throughout the UK. The company uses a variety of professional cleaning methods, including reach and wash, cherry pickers, absailing and mop and blading. With Constable Cleaning Ltd you can be assured of a high quality professional service. As well as window cleaning they also provide additional external cleaning services including gutter cleaning, jet washing, cladding cleaning and communal cleaning. To contact Constable Cleaning Ltd visit their website or use the telephone number below. Clearvison Window Cleaning NWC operate a highly professional commercial window cleaning service to selected areas throughout the UK. Covering all of Worcester and throughout Worcestershire and surrounding regions the company cleans all types of commercial properties including shops, hotels, nursing homes, office and apartment blocks, plus retail and industrial units, plus community and leisure centres as well. Elite Window Cleaning are a professional domestic and commercial window cleaning service based in Melton Mowbray. They offer a friendly, reliable cleaning service in the following areas… Melton Mowbray, Asfordby, Thorpe Arnold, Burton Lazars, Great Dalby, Brentingby and surrounding villages. The company uses water fed poles in conjunction with environmentally friendly purified water to ensure excellent long lasting results. They also clean conservatory roofs, solar panels, external upvc cladding, fascias, soffits and gutters when requested to do so by their customers. Exclusive cleaning solutions provide a comprehensive service for interior and exterior window cleaning, using a watered pole system to ensure the best results,we guarantee our customers receive the best possible service. 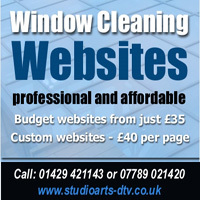 As well as commercial window cleaning the company offer a friendly, professional residential cleaning service. Additional home exterior cleaning services include gutter cleaning and clearing, fascia, soffit board and cladding cleaning. Plus they clean solar panels, conservatories, conservatory roofs and offer a full conservatory interior valeting service. Sublime Shine Window Cleaning provide a commercial and residential window cleaning service in the Nottingham area. Founded in 1984 the company has gained a good reputation for high quality cleaning work and includes the inside and outside cleaning of windows, conservatory cleaning and UPVC cleaning. The areas they cover include West Bridgford, Keyworth, Kinoulton, Cotgrave, Edwalton and Plumtree, Wysall, Widmerpool, Owethorpe, Gamston, Stanton-on-the-Wolds and Normanton-on-the-Wolds. To get a free quotation or find out more about their services they can be contacted via their website or by phone. Proudhouse Cleaning Services based in Kettering, Northhamptonshire are a professional window cleaning service that offers both domestic and commercial window cleaning services in the following areas… Kettering, Northampton, Milton Keynes, Corby, Milton Keynes, Desborough, Wellborough, bedford, Northampton and the surrounding areas. On your request they can also clean your interior glazing, conservatory and conservatory roof, upvc fascia boards, soffits and guttering if required. To contact them for a no obligation quote please use the contact details below or visit their website to find out more about their services. Gleaming Windows based in Worcester provide a friendly, trustworthy window cleaning service to both domestic and commercial customers at affordable prices. Cleaning methods incorporate using water-fed pole systems for excellent results but they also use traditional methods too where required, or if preferred by the customer. They are also fully insured and adhere strictly to health and safety guidelines to ensure our work is carried out to a high standard and a degree of safety to be expected from a professional window cleaning company. If you’re looking for a Window cleaner in Worcester for a free quote contact the number below or visit their website and use their contact form. Proclean is a family run window cleaning business located in Stoke on Trent that can provide you with a reliable and friendly service. They provide a regular service to domestic and commercial customers in the Stoke, Macclesfield and surrounding areas. Using the latest window cleaning technology, their water fed pole system uses pure water for cleaning windows and conservatories and provides many benefits to the customer. Plumtree Window Cleaning offer all types of exterior cleaning, including window cleaning, gutter cleaning and driveway cleaning. They also provide a general garden maintenance and tidy up service. Windows are cleaned using a high reach hot water fed pole system or by traditional methods. Both methods give excellent results. They serve both commercial and residential customers. As members of the Federation of Window Cleaners, Plumtree Cleaning & Maintenance provide a quality service and are dedicated to bringing customer satisfaction to all clients. TJ Window Cleaning in Irthlingborough, Northants provide quotations for carrying out commercial window cleaning work on schools, shops, office blocks, industrial outlets, car showrooms, nursing homes, hotels, sports and leisure centres and other types of commercial premises where a professional cleaning service is required. In addition they also provide a sign cleaning service plus solar panel cleaning, fascia and soffit cleaning and conservatory cleaning for their residntial customers. Smudgeoff Cleaning Services based in Pershore, Worcestershire is a friendly, professional window cleaning service that caters for commercial and residential customers. Their cleaning services include office cleaning, domestic and household cleaning, one-off cleans and end of tenancy cleans. Using traditional and water fed pole cleaning methods to get the the best window cleaning results, Smudgeoff is able to use the best methods required for the job. Areas covered include Pershore, Evesham, Worcester, Malvern, Lenches and Droitwich. Pure Clean Windows is based in North Kilworth Leicestershire covers all the surrounding areas. Members of the Master Guild of Window Cleaners, the founders of Pure Clean Windows, Colin and Lynda. have many years experience in the window cleaning industry. With a company of highly trained staff their cleaning methods incorporate using a water fed pole system for cleaning windows, conservatories, Upvc fascias and soffits etc., and are happy to give quotes on commercial and residential properties for a regular or one-off clean. Outdoor Restore based in Shrewsbury, Shropshire provides a professional domestic and commercial external cleaning service throughout the region. Using high reach water fed poles windows can be cleaned up to 60 feet high from the ground without the use of ladders. Schools, hotels, pubs, restaurants, apartment complexes, offices and local authority organisations can all be served at competitive rates by a company with a 100% safety record who are happy to provide documented risk assessments and method statements before any commercial project is undertaken. All work is covered by their comprehensive insurance policy. SB Cleaning Services based in Herefordshire provides a friendly, professional domestic and commercial window cleaning service which covers both Herefordshire and Worcestershire. The company is fully insured and trained by the British Window Cleaning Academy. Founded by the owner Shaun Bloomfield, SB Cleaning is a family owned business with many years experience in the window cleaning industry. Whether you’re a residential customer aor a commercial customer if you need a window cleaner in the following areas – Worcester, Martley, Whitbourne, Clifton, Broadheath and Bromyard then give them a call. Andy O Dell Window Cleaning Service based in Northampton specialise in commercial and domestic window cleaning in Northamptonshire, Buckinghamshire and Bedfordshire including Birmingham, Leicester, Northampton and the surrounding areas. Other services provided also include gutter cleaning, conservatory cleaning and UPVC fascia and soffit cleaning. M & S Window Cleaning based in Rugeley have been cleaning windows since 1989. Using traditional methods and the Reach & Wash System they provide a professional high quality commercial and domestic window cleaning service covering the whole of Staffordshire. Members of the Master Guild of Window Cleaners. Keen’n’clean is a family run business based in Solihull and is run by brothers Andrew and Stephen Kiernan who individually cover South Birmingham, Warwickshire and surrounding areas. The company provides commercial and residential window cleaning services and conforms to all health and safety regulations and is fully insured with employer and public liability insurance. Pro-Smart provides a reliable and friendly window cleaning service to both commercial and residential customers in the Worcestershire and Warwickshire area. Pro-Smart can offer either a one-off clean or regular window cleaning. All uniformed staff are trained by the British Window Cleaning Academy and are fully insured. High Shine Window Cleaning Services operates centrally in the East Midlands area. All of their staff are uniformed and trained by the British Window Cleaning Academy in the correct use and techniques of the Reach & Wash System. This is backed up with Health & Safety training. High Shine is also a member of the National Window Cleaning Federation, a Government recognised organisation.